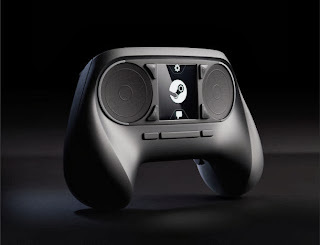 As explained by Valve, "Driven by the player’s thumbs, each one has a high-resolution trackpad as its base. It is also clickable, allowing the entire surface to act as a button. The trackpads allow far higher fidelity input than has previously been possible with traditional handheld controllers. Steam gamers, who are used to the input associated with PCs, will appreciate that the Steam Controller’s resolution approaches that of a desktop mouse." Resonant actuators, small, strong, weighted electro-magnets are attached to each of the dual trackpads. Allow precise control over frequency, amplitude, and direction of movement. 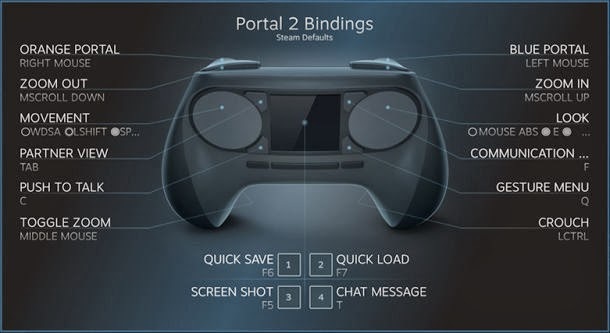 The center of the controller also has a touch screen, which Valve calls "critical to supporting all games in the Steam catalog.